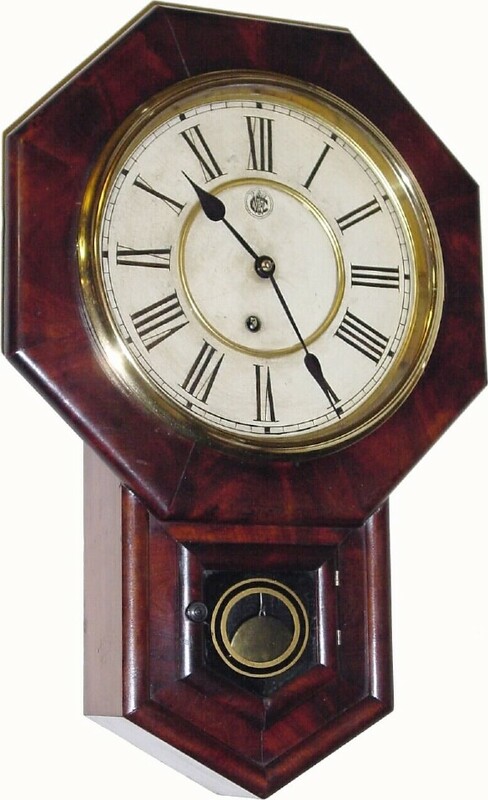 C.1895, Waterbury Clock Co., "Drop Octagon, 10 Inch" 8-day mahogany veneer timepiece, in excellent original condition. A very nice mahogany case with no veneer problems, except for a small piece missing from the back of the bottom edge (not noticeable). The original dial has turned a little brown. The hands are original. Both glasses are original. There is good label inside the case. The movement is signed, and in running order. Height 21 1/2"